This simple pizza sauce recipe doesn't require a lot of simmering. 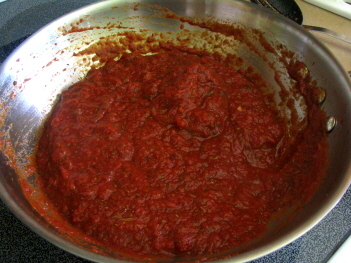 Start with this recipe for pizza sauce and add your own ingredients to see what you come up with. This easy pizza sauce is a flavorful tomato-based sauce. It doesn't require hours of simmering, which is nice if you decide to make a pizza without having a lot of prep time. 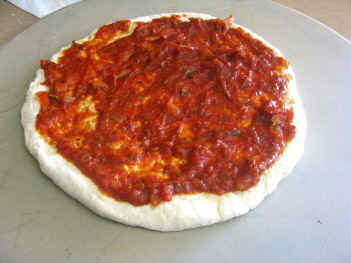 Try using an easy pizza dough recipe to make this one of the easiest pizza you can make. 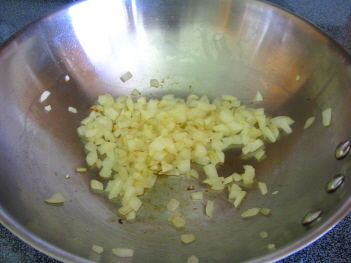 Add onions and saute for 1 minute. Bring to a boil and simmer, stirring occasionally, for about 3 minutes. Reduce heat to medium and add butter pieces, and continue to stir. When butter is half melted, remove skillet from heat and continue stirring until thoroughly incorporated. This will make enough for roughly two pizzas. You can always try a dessert pizza recipe to finish off your pizza night!